Martha and James meet at a conference in Iceland in 1974, she as a journalist, he as an ecologist. Almost the entire book is made up of letters over the next 30 years of their lives. The letters are short and simple, but beautiful and able to convey everything there is to say without even saying it. Like any other lichen, the cryptoendolith is a symbiotic colony formed by bacteria and algae, but this lichen is even more unusual: it lives inside rocks. Incredible how tenacious life can be in its efforts to carve out a niche for itself, even in the harshest terrain. The story of Martha and James takes us through the joys and sorrows of life. There are gaps in the writing signalling the times in which one or both of the writers are deeply involved in their own lives, or the flow has been interrupted by life events. It occurred to me after reading your last letter just now that the night Michael was born was the same night you saw the moonbow. So now you know what I was doing. I was too busy to be out skywatching, but I did discover a wonder. This baby is without a doubt the most amazing little-known fact I have ever encountered, though I think I am getting to know him a little better each day. In most of their letters, they share with each other some little known fact or interesting tidbit they have picked up at some point in the past, or in between letters. They also share their beliefs and questions about the universe and the meaning of life. It is like they are living a life ‘on the side’ that is just as meaningful as the life they are concretely in. We humans believe we are separate from other creatures, but we are what that first tiny spark of life eventually became… Life has suffered catastrophic losses during Earth’s history, but it has always carried on and flourished again, and found new forms… If conditions had been different, human beings might never have been. But here we are, one of the many filaments of that single thread that began so long ago. In all these unimaginable eons, through all the struggles against nature’s implacable forces, the thread of life has never been broken… This will sound strange, I suppose, but I take comfort and inspiration from that thought. The whole feel of the book took me back to the days before computers and e-mail. The joy of getting a letter in the mail, and the anticipation of reading it and writing back. Sometimes a person doesn’t really want certain things to change, even if they think they do. I highly recommend this one if you are looking for a “quiet, beautiful, heartbreaking” read. I think I would like to have quoted whole chunks of the book to you, but you’ll just have to go read it yourselves. … if you wait until something is a dead certainty, by that time it may just be dead. 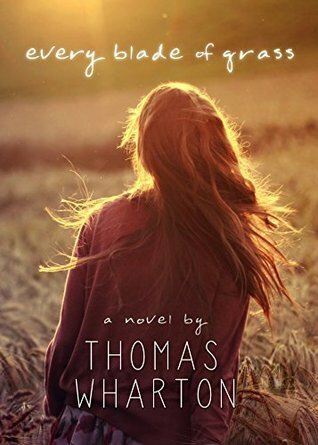 After reading this book, I went to Thomas Wharton’s website and discovered a treasure trove of other books that are now on my list (and my daughter’s). Which ones sound good to you? I had never heard of it, either, before I saw Laura mention it. I think he is an Edmonton author. I can’t imagine anyone not liking this book. This is one I would read again. I remember hearing about his novel Icefields when it was published in 1995, when I was a student at the University of Alberta. Haven’t read that one yet (partly because at the time I thought of myself as a medievalist rather than as a reader of contemporary Canadian literature, but that’s another story). I’ll keep both of these in mind. This sounds lovely although, sadly, not available in the UK yet. I see that several of his novels are published here so I’m hopeful it will be eventually. Oh, I hope it will be soon, so you can read it! On the one hand, Salamander sounds intriguing. On the other hand, I dislike magical realism (most of the time–it has to be handled just right), and it sounds like it’s approaching that. Yeah, maybe a little too metaphysical for me. Or philosophical, or something. You always discover such marvelous books. So little time so much to read. Don’t know how you do it. I am looking at the kindle now. Love the quote from the Talmud: Every blade of grass has an angel that bends over it and whispers, grow, grow. I love that, too – and very fitting for the story. I plan to. I got it on my kindle. It will be my next book. Thanks to you. I will. It may be a while. I am a slow reader. Yay! So happy you enjoyed this one. I’ve got a used copy of Icefields that I picked up at a library sale. The librarian at the checkout was SO EXCITED about it. I really need to get to it. Ooh.. that’s the one I think looks good. Our library has that one, too. Just that one – it must be a sign. From your quotes it seems quite poetic. I’ll add it to my list. This does sound like a lovely book, maybe one for the Christmas break. The quotes you picked sound wonderful (although I couldn’t help having The Sixth Extinction pop into my head when I read “catastrophic losses during Earth’s history”). I will read the Kindle sample tonight. Of his other books, Icefields sounds the most appealing to me as well. I totally kept thinking about The Sixth Extinction as I read this book. It’s probably one of the reasons I loved it so much. It sort of carried on the conversation for me in a completely different way. Just think of this one as an epistolary novel with an environmental twist. In fact, because of the ecologist character, I think you would like it. I loved all the little facts about plants and animals in the letters, as well as their discussions about evolution.